So, 2014 is at an end, and 2015 looms. 2014 turned out to be a thoroughly interesting year for cinema. There may have been a few catastrophes as usual (Transformers: Age of Extinction, Horrible Bosses 2, etc. ), but there were still strong films to enjoy. 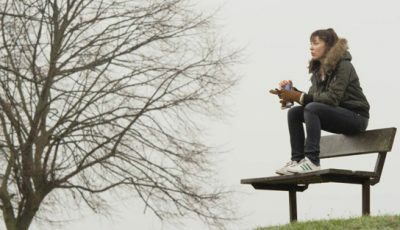 Some impressive work emerged from the United Kingdom (Paddington, Mr. Turner and ’71), while Hollywood produced its usual share of enjoyable blockbusters (Dawn of the Planet of the Apes and Guardians of the Galaxy). There were a lot of strong contenders, but here is my official Top 10 of 2014. Hope you enjoy. 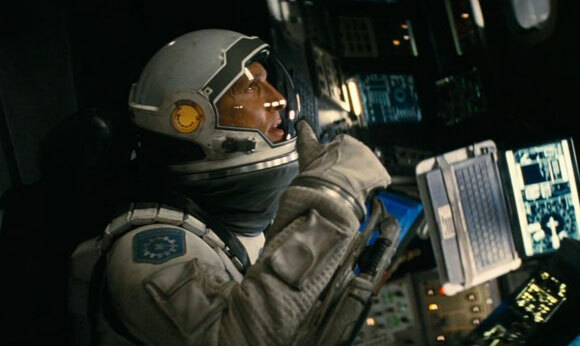 From time to time, filmmakers like to push the boundaries of cinema, attempting to give us enormous and awe-inspiring scope, and that is definitely the case with Christopher Nolan’s sci-fi epic, Interstellar. Drawing inspiration from 2001: A Space Odyssey and Contact, Nolan has crafted an ambitious, thought-provoking, and breathtaking film that isn’t afraid of tackling big themes and ideas. Sure there are faults, but that isn’t enough to impact this incredible experience. Plus, both Mackenzie Foy and Jessica Chastain are incredibly powerful performers. Admirable for its ambition rather than its total success, Jonathan Glazer’s Under the Skin is an extraordinary adaptation of a very complex novel as Scarlett Johansson heads out on the streets of Glasgow as an extra-terrestrial stalker. There are things in it that are very successful, yet there are elements that aren’t, as I’m still uncertain if all the hidden camera material works perfectly. However, it dares to be different, and it draws parallels with Nicolas Roeg’s impressive The Man Who Fell To Earth. Under the Skin may not be a perfect film, but it was an incredibly ambitious film, and that deserves credit. 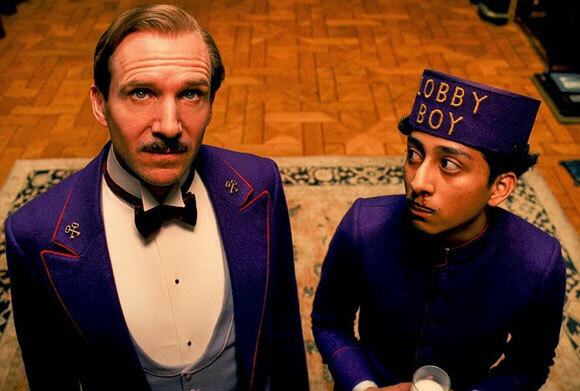 When it opened in the UK, Wes Anderson’s The Grand Budapest Hotel wasn’t an immediate box-office hit, but yet it climbed to the top of the box office in the weeks that followed, primarily because of its positive word-of-mouth. Wes Anderson movies are usually hit-or-miss, but The Grand Budapest Hotel was something special, and may be possibly the writer-director’s masterpiece. Plus, it has an incredibly strong comic central performance by Ralph Fiennes. But perhaps more importantly, it was a film that had real heart and soul, and makes you engage with it on a personal level. A mish-mash of Drive, American Psycho and Network, Nightcrawler is a superbly shocking thriller that feels like a barbed cutting indictment of the modern job market. Jake Gyllenhaal convincingly portrays an amoral sociopath whose only ambition is to be on top, and this is really his film. While a tad overlong, Nightcrawler brilliantly immerses you into its warped world of nihilism, bloodletting, crushed-metal and moral corruption. A perfect companion piece to Gone Girl. Directed by Amma Asante and inspired by the famous painting of Dido Elizabeth Belle, Belle is extraordinary because it deals with difficult and weighty subject matter, whilst at the centre of the story is a father/daughter relationship between Tom Wilkinson and Gugu Mbatha-Raw. Yet, Assante portrays all that in a way that is completely enjoyable, and at times, plays it almost like a costume drama. She described it herself as taking all the enjoyable elements from Jane Austen stories and placing them within a story about the end of slavery. Fantastic performances, wonderful direction, and most importantly, a cinema hit (even outselling The Amazing Spider-Man 2 in certain cinemas). 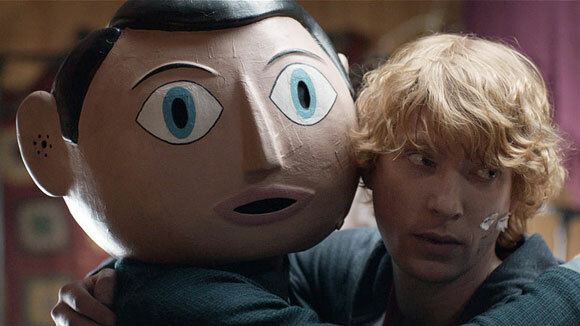 Inspired by the real life story of Frank Sidebottom/Chris Sievey, yet also drawing inspiration from Captain Beefheart and Daniel Johnston, Frank is a film that has surprised and delighted me in equal measure. It’s a wonderfully strange, inventive and surreal film that has fantastic music, a beautifully written script by Jon Ronson, and has Michael Fassbender, one of the big faces of modern 21st century cinema, wearing a papier-mâché head for almost all of the film. 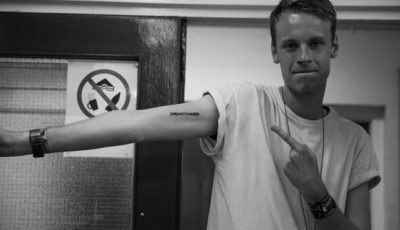 That is what I call risk-taking. 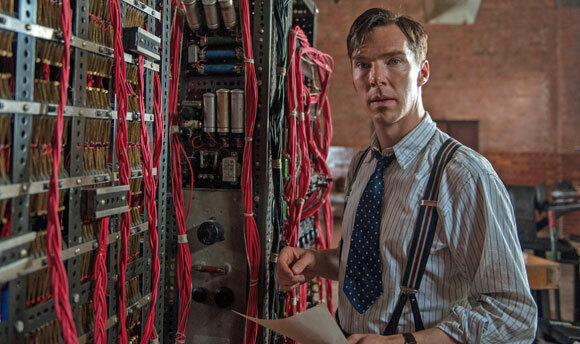 Serving as an eminently well-made entry in the ‘prestige biopic’ genre, The Imitation Game takes the well-known story of Alan Turing and the WWII Enigma Code and makes it accessible to a mainstream audience. 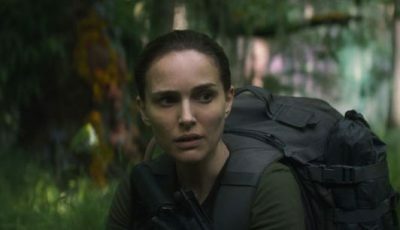 It boasts terrific performances (particularly from Benedict Cumberbatch and Keira Knightley), a well-written script that keeps the audience engaged, and does something really amazing, which is balance that strong, stirring sense of triumphant happiness and deep tragedy. A true British classic. Relying more on deeply chilling horror rather than cheap jump scares, which have become the declining norm for horror movies nowadays, The Babadook is a proper, return-to-form, horror movie that is disturbing and sinister one minute, yet heartfelt and genuinely moving the next. The performances from both Essie Davis and Noah Wiseman are terrific, and the Babadook itself is one of the scariest monsters ever created. The Babadook breathes new life into the horror genre whilst not being afraid of tackling real fears and emotions. A film that will leave you punching the air in triumph by the end, Pride is the unlikely story of an allegiance between striking Welsh miners and out-and-proud gay Londoners. It follows the history as closely as possible whilst having just the right amount of dramatic invention, it has a wonderful script by Stephen Beresford, and boasts some really charming performances. But most of all, it’s one of those films that if you don’t come out of it feeling massively and positively uplifted, then there’s something wrong with you. Dark, twisted, intelligent, and slickly stylish, David Fincher’s adaptation of Gillian Flynn’s best-selling novel is an intoxicating concoction of mystery-thriller and psychological horror. 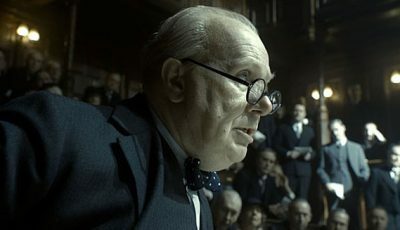 When released, it divided audiences straight down the middle, with some lauding it, yet some labelling it as “misogynistic” or “anti-feminist”. Ben Affleck convincingly portrays an unforgiving slimeball, but the phenomenal Rosamund Pike delivers the best performance of the year. Immersing herself into the role of “Amazing” Amy Dunne both physically and emotionally, Pike delivers a flawless performance that is career-defining, iconic, and worthy of awards recognition. It’s perhaps no surprise that The Lego Movie was hailed by everyone as, not just the runaway family hit of the year, but one of the year’s very best films. The film succeeds on every single level: it has huge laugh-a-minute gags for kids and adults alike, arresting visuals, sublime animation, a wonderfully charming voice cast, a surprisingly thoughtful and intelligent story, and an annoyingly catchy theme tune. Honestly, by the time the film has finished, you won’t be able to stop singing “Everything is Awesome”. Yet, deep down, it has a heart-warming message that proves to us that anybody can be thoughtful and creative, just as long you can put mind to it. The film of the year. 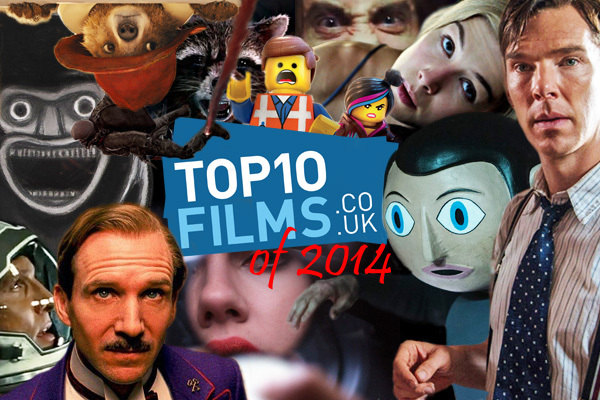 So, that’s my official Top 10 Films of 2014, but what did you think? Do you agree with the list? What were your favourite films of the year? Feel free to comment, but until then, have a Happy New Year. Bring on 2015! I liked the LEGO Movie and really enjoyed the third-act twist. I did not expect that added layer to it. Even so, I’m a little surprised to see it as your number one movie. It was great entertainment, so it’s hard to argue though. I also like seeing Frank on your list, which is such an odd but intriguing story. Got to be a bit obvious and say Guardians of the Galaxy. The best Marvel film other than The Avengers so far. Loved The Lego Movie. Guardians of the Galaxy, Captain America and Godzilla were my other favourites. The Babadook was brilliant, one of the best horror movies of the last ten years. Still got a lot of films to see from 2014 but it’ll take a lot for anything to top Pride for me. The Lego Movie feels like ages ago now but what a great film it was. A real surprise hit. Best movie? I really liked Her, Frank and Captain America. Guardians was great too. Belle is a film I’m eager to see. Best movie of 2014 for me was Gone Girl. Incredible work by all involved, especially Fincher and the two leads. It really was an incredible film, totally unpredictable. I really want to see Belle, Pride and The Babadook. The Imitation Game looks good too. Yeah, I’d have GOTG somewhere in this list. Nightcrawler would be my pick for the best film of 2014, perhaps level with Grand Budapest (which was one of the most fun movies I’ve seen in ages). Still, Lego Movie ain’t bad either…. Loved The Lego Movie, what a surprise that was. People were looking forward to it at the beginning of the year and I couldn’t understand why. As soon as I saw it I jumped on that same bandwagon! Brilliant, funny, warmhearted film with a lovely little twist at the end. Was so looking forward to Interstellar and it didn’t disappoint. Really eager to see Birdman… Good to hear it lives up to expectation. I’m surprised Guardians of the Galaxy failed to make the list – that was my big budget blockbuster of the year. But I really enjoyed The Lego Movie, Gone Girl, Belle and Pride. Looking forward to seeing The Imitation Game. 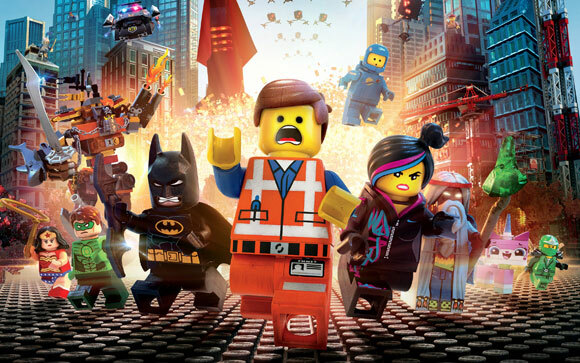 Bravo – The Lego Movie was a sheer joy! 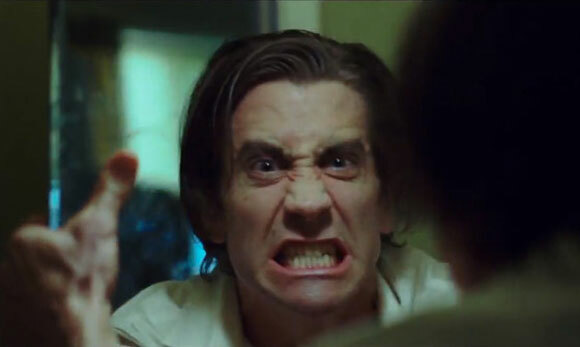 Nightcrawler, Leviathan and Grand Budapest Hotel were my top 3 of the year. Have to say I did enjoy The Lego Movie, it was a pleasant surprise, and Gone Girl was a great adaptation of the book. 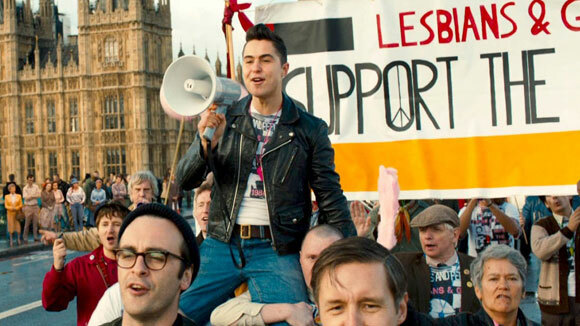 The British films like Pride and Belle will more likely be 2015 movies for me. Looking forward to them. Still haven’t seen enough from 2014 to put together a top 10 or say with any real confidence what my number one would be but from what I’ve seen so far – which includes the hugely enjoyable Lego Movie – I can’t see anything topping The Grand Budapest Hotel. Wes Anderson’s latest has to be one of the most enjoyable experiences I’ve had with a film for many months, and definitely a highlight of 2014. I thought Interstellar was OK, but it wouldn’t make it into my top 10. And although I wasn’t a huge fan of Under the Skin, I think I appreciate it more for what it was trying to accomplish as a film. Surprisingly, I haven’t seen many of the other movies in your list aside from The Babadook and The Lego Movie. I thought both suffered from overhype before I had a chance to see them. When I finally did, I wasn’t nearly as excited about them as everyone else. For me, The Babadook got campy toward the middle in a bad way, and The Lego Movie was funny and sarcastic, yet betrayed its own sarcastic tone with its sappy ending. Grand Budapest, Leviathan and Interstellar were the best from what I’ve seen. But Lego Movie was great!